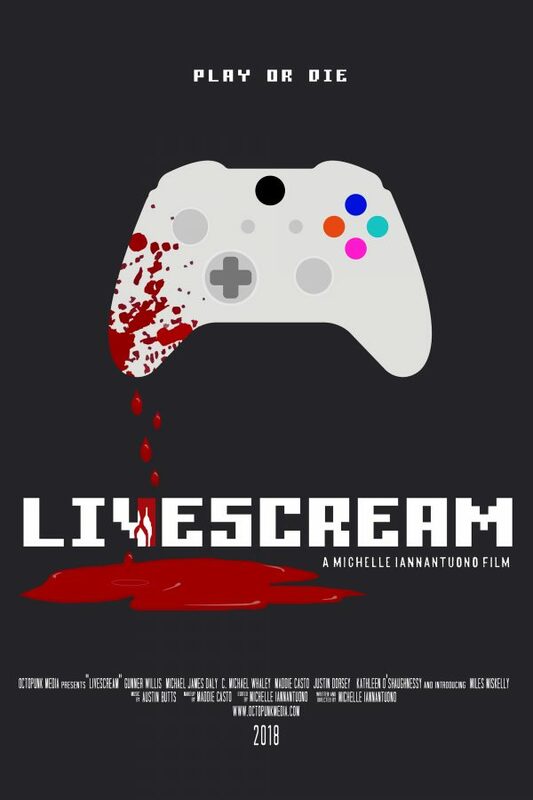 Add another poster to your collection with this 11 x 17 official poster for Livescream. The poster comes on high quality paper and can be hung in just about any room in your house. Except maybe the bathroom. That could be a bit weird. Please allow 5-7 days for order processing. Introducing – The Merch Store! Octopunk Media is the production company of Michelle Iannantuono, a four time filmmaker from Charleston, South Carolina. Octopunk’s focus is on horror, science fiction, and fantasy narratives presented through a variety of visual mediums.